Protests, police violence and brutal government crackdowns – hear about them all the time? Not as far as Bahrain is concerned. 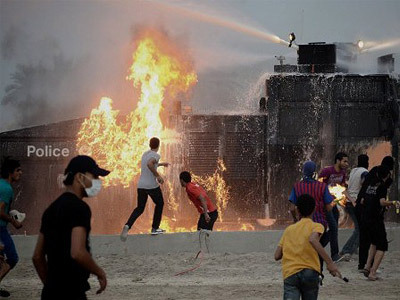 It took a firebomb in the country’s capital ahead of the F1 Grand Prix for Bahrain’s opposition to really get noticed. 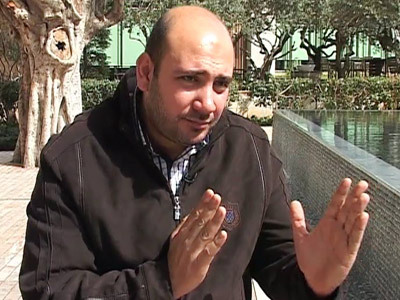 Anti-regime activists have pledged to boycott the event and step up protests. Two members of the Force India team have already fled the state after getting caught up in clashes on their way back from the track on Wednesday. The teams will be practicing on the track Friday and Saturday before qualifying later on Saturday. The Grand Prix itself is scheduled for Sunday. The organizers have insisted the race will be safe, blaming extremist groups and their “scare-mongering tactics” for raising doubts about the event. The government stepped up riot police on the streets in anticipation of demonstrations during the race. Bahrain opposition groups, however, criticize the decision to stage Sunday's race, which was canceled last year because of unrest.They say the F1 decision to return to Bahrain gives greater international legitimacy to the monarchy and its crackdowns on dissent. A week of “steadfastness and challenge,” as the opposition has called it, is being held across the kingdom until Sunday. 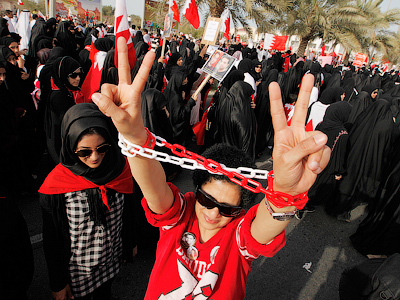 Bahrain has been choked by the struggle between protesters and police for more than a year. Scenes from the capital Manama bear more than a passing similarity to pictures from other countries embattled by Arab Spring protests. Bahraini demonstrations, however, usually receive a very different level of attention. Western politicians and media have stayed surprisingly quiet, considering their stance on other Arab revolutions. Some have suggested this attitude may be connected with the fact that Bahrain is the HQ of the United States Fifth Fleet. “They were all but silent when the revolution was crushed there last year. They're all but silent about human rights abuses in Bahrain itself, and the Formula 1 race has just put focus on that society,” John Rees of Stop the War Coalition told RT. When the media do grant Bahrain their attention, it seems to do more harm than good, according to human rights activist Maryam Al Khawaja. 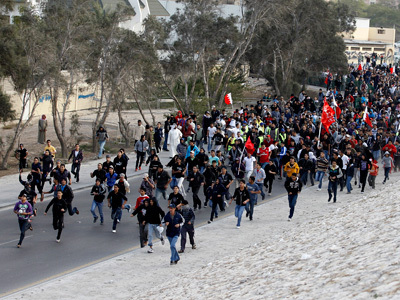 “The foreign media haven't been covering the protests in Bahrain. In the little time that they do, they always use the framework of Shiite majority against the Sunni monarchy,” she told RT. This week, media attention will be drawn to the Gulf island, but while sports correspondents have poured into Bahrain to cover the race, non-sports reporters have not been granted visas. Bahraini authorities prevented journalists from AP, AFP, Reuters, CNN, Sky News and others from entering the country. 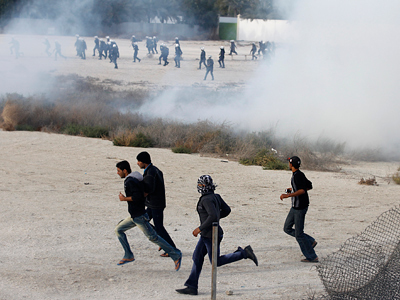 Last year the Bahrain Grand Prix was cancelled due to anti-government protests that left nearly 50 dead, AP reports. Last week, however, Formula One boss Bernie Ecclestone declared the Gulf kingdom safe and decided to go ahead with the race. Ecclestone said all 12 teams told him they were happy to travel to the island nation despite near-daily violent clashes between security forces and protesters. Massive riots in the country began mid-February 2011. The demonstrations were staged by opposition forces, which are mainly represented by Shiite Muslims. 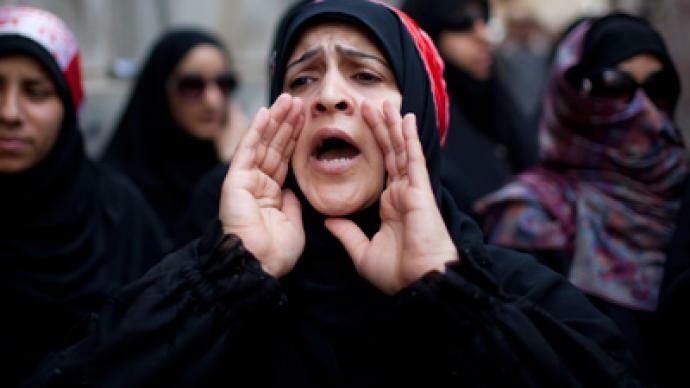 Shiites account for over 70 per cent of Bahrain's population. They claim they face widespread discrimination and are blocked from key political or military posts. The ruling Sunni leaders have offered some reforms, but the opposition says they fall short of their demands.